Cabinet has approved $30 million for the trucking of water to drought-affected areas of the country. Minister of Water, Land, Environment and Climate Change, Hon. Robert Pickersgill, made the announcement during Tuesday’s (Jan. 22) sitting of the House of Representatives, where he addressed measures to alleviate drought conditions currently affecting the island. He said the Ministry will be partnering with the Ministry of Local Government and Community Development to allocate the funds, especially to those areas not served by the National Water Commission (NWC). “The funds will be allocated to the respective parish councils for trucking of water to those areas, districts and communities identified by the Members of Parliament as being in need,” Mr. Pickersgill informed. He added that this process is already underway, while stating that local authorities that have a balance from last year’s allocation will not receive any new funds until the balances have been cleared. 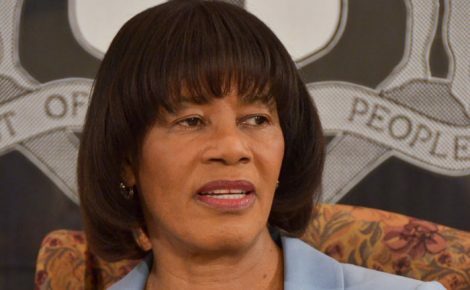 The Minister also stated that currently, there are 21 rapid response units operating island-wide: two units in the metro region, which comprises Kingston and St. Andrew; nine units in the central region comprising Manchester, St. Elizabeth and Clarendon; four units in the northern region comprising St. Mary, Portland and St. Ann; and six units in the western region, which comprises Trelawny, St. James, Hanover and Montego Bay. “There are 26 additional units, which we will be repairing in the short-term,” he said, noting that $10 million have been allocated so far for the repairs. He told the House that once the repairs are completed, the trucks will be put into service as follows: six in Kingston, seven in St. Catherine, eight in St. James and five in Manchester.